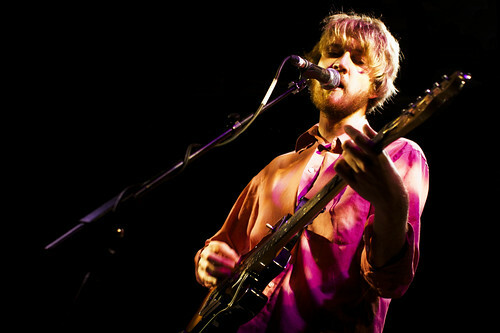 Venue: Hoxton Bar + Grill Support Bands: Lawrence Arabia Date: 07/01/10 These days, nothing says âreputationâ like reforming. With the amount of buzz that bands like Blur and My Bloody Valentine have managed to gather post-reforming, it is no wonder that Sunderland-based art pop quartet Field Music should decide to follow suit. However, it is unlikely that it was the prospect of fame that tempted Field Music from their three-year hiatus; if their packed London gig was anything to go by, it would seem that the enjoyment of playing together again was enough to reunite the band. Field Musicâs short-lived time apart was, however, anything but unconstructive. Not content with simply forming two equally credible solo projects, the Brewis brothersâ critically lauded, intricate indie-pop sound has helped form the template for fellow northerners âThe Futureheadsâ and âMaximo Parkâ. Indeed, their brand of intelligent, angular guitar-rock has been a clear inspiration to many contemporary British bands, not to mention securing them significant plaudit with their second L.P âTones of Townsâ. Lawrence (James Milne) Himself (Photography = Anika Mottershaw) All feelings of nostalgia were eclipsed as soon as Bella Unions most recent signing, Lawrence Arabia walked on stage. New Zealander James Milne proved that his infectious pop melodies reinforced with his trademark energetic tropical swing was the perfect antidote to the miserable arctic conditions outside. The 4 pieceâs enthusiasm and optimism was matched only by the wide array of instruments and exotic rhythms used, proving that New Zealand has more to offer than just scenery and Flight of the Conchords. 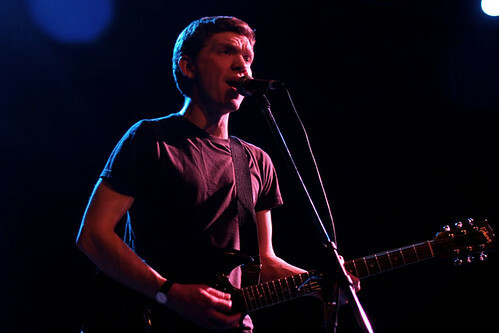 Peter of Field Music And finally, Field Musicâs two year hiatus was to come to an end. Yet, despite the anticipation of such a âfirst reunited gigâ, the performance seemed surprisingly underwhelming. Perhaps it was the small cramp venue which seemed unbefitting for the band, or more likely, their inability to evoke any real excitement. Despite their incredible musicianship, flawless beach-boys-esque harmonies and quintessentially British cheerfulness, individual songs struggled to achieve much distinction, song after song simply merging into one another. This said, the performance was anything other than dull, their immaculate back-catalogue, swapping over of instruments and lighthearted banter was genuinely enjoyable, but I was left thinking that Field Music have more to offer. Field Musicâs return wonât earn them as much renewed fame as it has for Blur, but considering they turned down such a lucrative invitation as to support Snow Patrol, I donât think they care, and with such a distinctive intricate sound and devoted left-field fanbase, why should they?